Microsoft last week quietly acknowledged that a year-old plan to focus phone sales on the enterprise market is dead. "We had no material Phone revenue this quarter," said Amy Hood, the company's CFO, during an earnings call with Wall Street on Thursday. In fact, phone revenue amounted to just $5 million for the three-month stretch, representing a massive decline of 99% from the same period of the prior year. Assuming each Windows smartphone brought $500 to Microsoft, that was a sluggish pace of just five phones sold per hour. Worldwide. 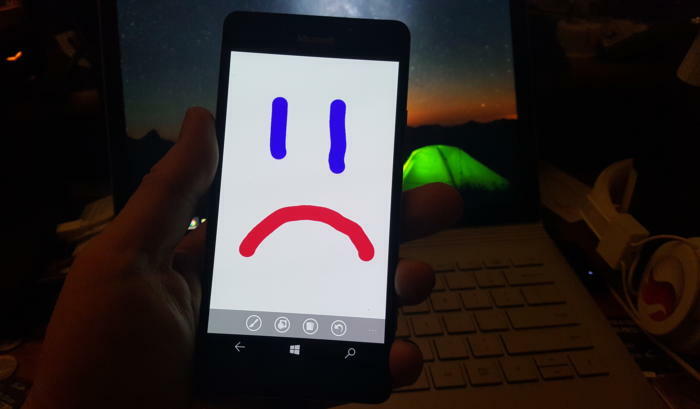 It's not as if the demise of Microsoft's phone business was a surprise. The division, which was based on the 2014 acquisition of Nokia, has been in trouble with a capital "T" since 2015, when Microsoft wrote off $7.6 billion, nearly the full price it paid for the Finnish company's mobile phone assets and a collection of associated patents. Then less than a year ago, Microsoft ate another $1 billion and laid off another 1,850 workers as it continued to slash the phone division. At the time, experts called Microsoft's consumer phone business dead, but opined that the company could still exploit the enterprise market. "Look, it was wrong of Microsoft to buy Nokia in the first place. It was always a lost cause," said Jack Gold, of J. Gold Associates, and among the acquisition's earliest critics. "Mobile phone [hardware] was never going to be profitable for them," Gold contended. And CEO Satya Nadella, Gold added, knew that from the start of his early-2014 tenure. Nadella's plan for Microsoft has been centered around the cloud, Gold said, and rightfully so. "The smart move for them was to make sure that they're the cloud provider for the enterprise," he continued. And that required supporting a wide range of devices and operating systems, not focusing on Windows in mobile. All companies have a finite amount of attention, and using some of that to squire enterprise smartphones made no sense when the real goal and the profits were in pushing on all fronts cloud. The best thing the firm did a year ago was decide not to put "more money into enterprise phone," Gold added. Nor were corporate customers demanding a Windows phone from Microsoft. "They ask, 'What do I need to do, Microsoft, to get my people productive?'" posited Gold. Microsoft's response wasn't to produce a Surface smartphone -- a rumor that still circulates among the faithful -- but instead it worked to support every device. " They're telling customers, 'You don't have to worry about what front-end client [employees use] because we'll support everything on the back end.'" Rather than its own phones, Microsoft's mobile strategy will likely be along the lines of the tie-in with the Samsung S8 and S8+, which will be sold in Microsoft's retail outlets, and once unboxed, automatically load a collection of company apps, including Office, OneDrive and Outlook. "The money is in selling services for the phone, not the phone," Gold said. Phone revenue at Microsoft plummeted to $5 million for the March 2017 quarter, just a sliver of what the abandoned business generated last year and the year before that.